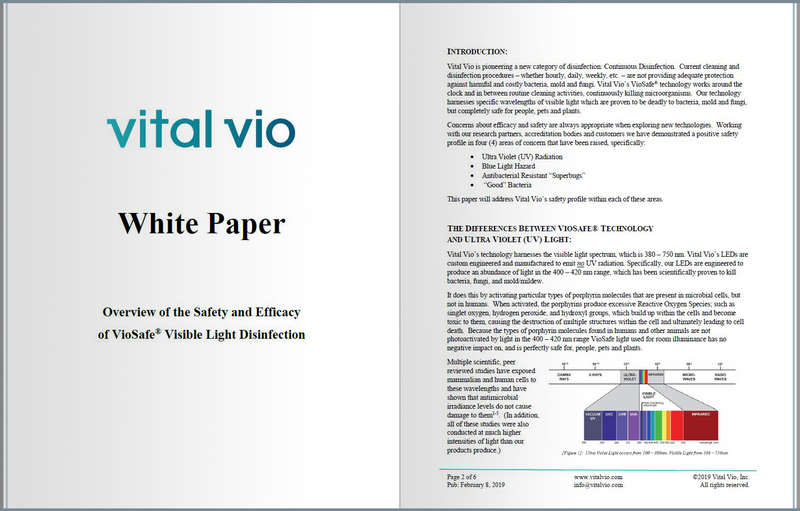 Since visible light disinfection technology is still fairly new, we receive questions regularly on its safety. This white paper was recently published by experts at Vital Vio to help explain how this technology can be deadly to harmful bacteria but completely safe for humans, pets, and plants. IV. VioSafe® Technology Does Not Risk Creating "Superbugs"
V. VioSafe®'s Impact on "Good Bacteria"